China's rapid development is reshaping the world in all dimensions. Chinese language open sources offer insights into these critical trends. While such materials are increasing constantly in number, diversity, and sophistication, only a fraction is available in English. The analyses available here, many based on sources not previously considered outside China, are designed to help bridge that gap--and thereby increase understanding of the most dynamic great power in the international system today. Review of Andrew S. Erickson and Ryan D. Martinson, China’s Maritime Gray Zone Operations (Annapolis, MD: Naval Institute Press, 2019); Virtual Mirage, 6 April 2019. “Analysis: Will China and America Go to War?” BBC, 31 March 2019. Honored to speak on Chinese naval shipbuilding from 05:48-07:35! 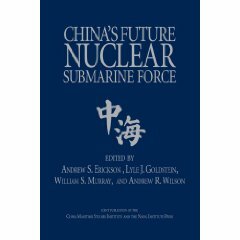 Andrew S. Erickson, Joshua Hickey, and Henry Holst, “Surging Second Sea Force: China’s Maritime Law-Enforcement Forces, Capabilities, and Future in the Gray Zone and Beyond,” Naval War College Review 72.2 (Spring 2019): 11-25. 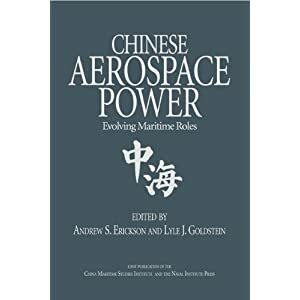 Ian Burns McCaslin and Andrew S. Erickson, Selling a Maritime Air Force: The PLAAF’s Campaign for a Bigger Maritime Role (Washington, DC: China Aerospace Studies Institute, 1 April 2019). Robbin Laird; review of Andrew S. Erickson and Ryan D. Martinson, China’s Maritime Gray Zone Operations (Annapolis, MD: Naval Institute Press, 2019); Defense Info, 26 March 2019. 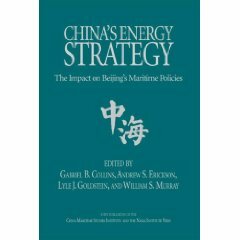 The book edited by Andrew S. Erickson and Ryan D. Martinson on Chinese maritime operations which they label as operating in the “gray zone” is a first rate piece of work. On behalf of China Maritime Studies Institute Director Dr. Peter Dutton, it is our pleasure to inform you of CMSI’s next annual academic conference. Covering “The People’s Navy in a Time of Strategic Transformation,” it will be held at the Naval War College on Monday May 6 and Tuesday May 7, 2019. Dmitry Filipoff, “Andrew S. Erickson and Ryan D. Martinson Discuss China’s Maritime Gray Zone Operations,” Center for International Maritime Security (CIMSEC), 11 March 2019. Republished as “Interview: China’s Maritime ‘Gray Zone’ Operations,” The Maritime Executive, 2019. Andrew S. Erickson, Walter Ladwig, and Justin Mikolay, “Diego Garcia: Anchoring America’s Future Presence in the Indo-Pacific,” Harvard Asia Quarterly 15.2 (Summer 2013): 20-28. Andrew S. Erickson and Ryan D. Martinson, China’s Maritime Gray Zone Operations (Annapolis, MD: Naval Institute Press, 2019). 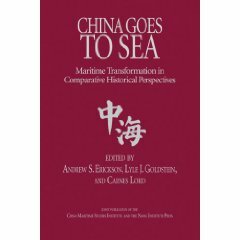 As with the previous six volumes in our “Studies in Chinese Maritime Development” series, an Amazon Kindle edition will be available. Eventually, there will also be an authorized Chinese-language translation through Ocean Press, China’s leading maritime publisher. For analysis of Chinese maritime policy and China Coast Guard development, it simply doesn’t get any better than this. Enjoy this fully updated one-stop library of my colleague Ryan Martinson’s work. It’s well worth reading all 20 of these superb publications! Ryan D. Martinson, “China’s Far Seas Naval Operations, From the Year of the Snake to the Year of the Pig,” Center for International Maritime Security (CIMSEC), 18 February 2019.